Stanozolol results are seen in both male and female users and at varying dosages due to the fact that everyone is different and females have to take lower dosages than men. They are not as tolerable to the effects of this powerful anabolic steroids, so they are more prone to experiencing some of the side effects related to Stanozolol. Stanozolol was first developed and produced by Winthrop Laboratories during the late 1950s, then Sterling in the United States after they had got their hands on the patent in 1961 which lead to Stanozolol being available in the US market. Stanozolol rapidly became one of the most popular anabolic steroids around and it still to this day. It is held in extremely high regard by bodybuilders, recreational steroid users and athletes. 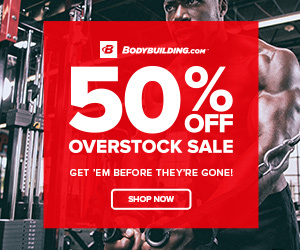 In fact, after Testosterone and things like Dbol-Dianabol, Deca-Durabolin, and Anavar; Stanozolol is still probably the most popular anabolic steroid still used widely today. Its use is still common because of the fact that Stanozolol results are often reported amongst its users as being very effective and outstanding. Stanozolol is not seen as a muscle building agent like other anabolic steroids like Testosterone and Deca Durabolin for example. Stanozolol results tend to be more associated with high-quality lean muscle mass due to their being no water retention or bloati ng experienced from Stanozolol use. If you look on the internet for a Stanozolol review, it is likely that they will mention the fact about how great it is to be able to use an anabolic steroid during the cutting season without having to worry about some of the side effects such as water retention and bloating. Stanozolol is a DHT derived anabolic steroid, so it is an artificial hormone, therefore it is able to make reductions in SHBG which become evident in Stanozolol users. This means there is more free-floating Testosterone available within the body which can be used to help increase muscle and strength gains. 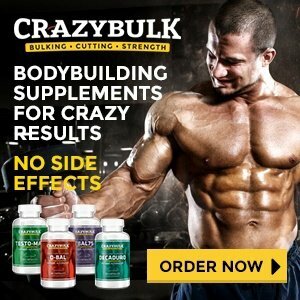 So as you can tell, there are a lot of Stanozolol benefits and strength gains are one of the first Stanozolol results experienced. Because the anabolic steroid users are able to handle more weight, they can quickly increase the amount of muscle tissue they have. The strength gains from Stanozolol will be fast and will start to take place sooner than many of the other anabolic steroids, which make Stanozolol a popular choice with athletes. Athletic sports where speed and strength are primary factors mean that the use of Stanozolol cycle will benefit the user. This was verified by Ben Johnson choosing Stanozolol for use in 1988 100m Olympic final where he set a new world record but was subsequently banned after testing positive for using Stanozolol. Stanozolol is not used mainly for massive muscle mass, but it can be used by people who are looking to improve things such as their speed and power. Stanozolol dosages tend to range from between 40-80mg every day depending on whether the oral or injectable version is taken and how sensitive the user is to the stimulus of Stanozolol. Oral Stanozolol is not as bio-available as injectable Stanozolol so a slightly higher dose is suggested. We have established that the results obtained from using Stanozolol are not of massive increases in muscle mass or increases in lean muscle in a short time frame. Instead, it advances users with the quality, steady gains but it can be greatly utilised as part of strength or power sports. However, it is also good as part of a bodybuilder’s cutting cycle due to its ability to be able to shed the excess body fat as well as aiding the dieting bodybuilder to be able to maintain their muscle mass when in a calorie deficit. Stanozolol results are considered to be so good actually, that most of the time Stanozolol is used is as part of a cutting cycle or during pre-contest phases. Many people have regarded this anabolic steroid to be the perfect option for someone who is cutting. Stanozolol is used at a higher dose with other non-aromatising anabolic steroids during the final weeks of the run-up to a competition, this will help dry out the physique and cause a hardening effect. Stanozolol results come fairly quickly as it has a short half-life of around 10-24 hours depending on if the oral form is taken or injectable version. Stanozolol dosages for cutting cycle or phases are slightly lower than bulking stacks due to the goal being to accelerate fat loss through by focusing on things nutrition, cardio and training whilst supplementing with Stanozolol. 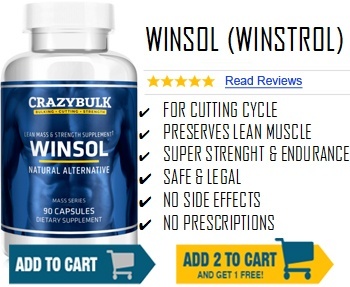 We do not promote the use of Stanozolol (Winstrol) or other anabolic steroids as they can be very dangerous. Especially to users who are new to anabolic steroids. But if you do want to use them, be sure that you have done the research before so that you know exactly what it is that you are doing. “Promoting Safe and Effective Drugs for 100 Years“. The Kefauver-Harris Drug Amendments. U.S. Food and Drug Administration.